Have you ever strolled through a forest of collard greens with their leafy canopies resting up above your head? Wandered through rows of kale growing so large that they resemble sago palms far more than they do the average cruciferous vegetable? Have you ever seen plump, red strawberries growing without soil and massive rainbow chard wearing socks? 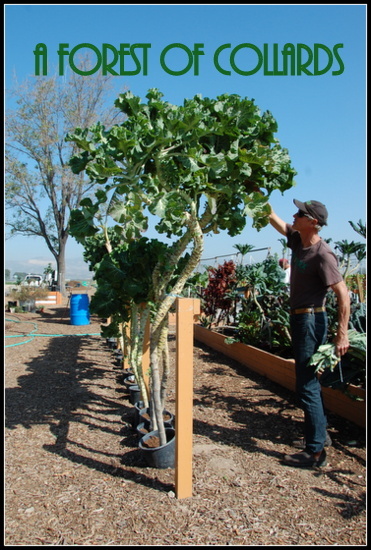 If your answer to these questions is no, you obviously have not yet had the pleasure of visiting Alegria Fresh Farm, a tiny 1 1/4 acre demonstration farm at the Orange County Great Park that is doing some pretty huge things. If I told you that Irvine&apos;s Alegria Fresh Farm vegetables were growing 2 1/2 times faster using 70-90% less water, 50% less fertilizer, and 70% less land, you might think this was some sort of genetically modified and chemically enhanced super food operation. In reality, Alegria Fresh does use plenty of science, but this smart science uses purely organic and hydroponic methods to create food that is healthier and more nutrient dense without the need for chemicals or modified genetics. What makes this farm different from all the rest? Well I would say the fact that none of the plants are growing soil is certainly one of them. 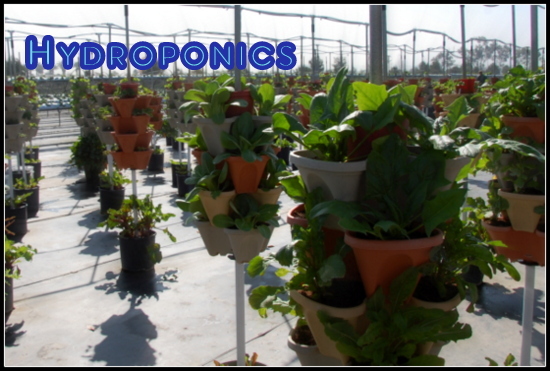 Half of the farm uses a hydroponics system to water the plants on a timed and highly efficient drip system as they grow huge and healthy out of small holes in specialized stacking planters. 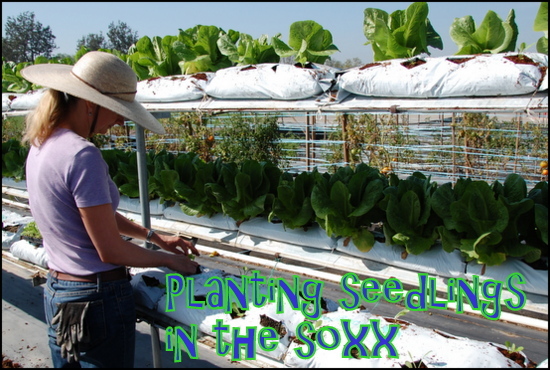 The other portion of the farm utilizes organic SOXX which are essentially breathable horizontal tubes filled with a growing medium that can be laid down pretty much anywhere. Holes are simply snipped in the socks, seeds or seedling are placed inside, and the plants roots happily feed on the organic growing medium without the threat of soil born disease. From these two systems grow vegetables like spinach, lettuces, strawberries, tomatoes, kohlrabi, fennel, kale, beets, chard, onion, and cauliflower so handsome and nutrient-dense that you have to fight the overwhelming urge to sit down and have a fresh-picked salad right in the middle of the farm. Good plants start with good nutrients which is why Alegria Fresh makes all of its own nutrient-dense organic compost on site. 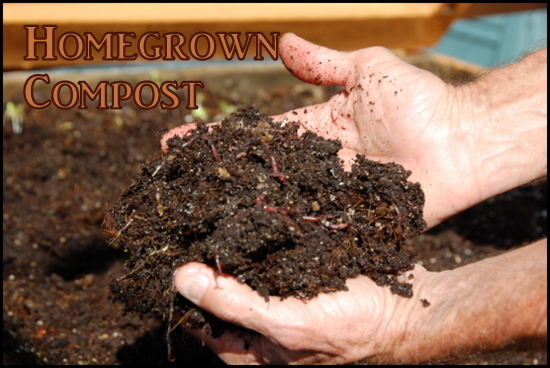 Ask them to open up on of their big compost bins and they are happy to show you thousands of red worms working away to create amazingly rich compost out of cuttings and scraps from around the farm, creating a perfect little circle of life. This, combined with ground up coconut hulls serves as the growing medium for the vegetables around the farm. Clearly, the plants are happy. So are restaurant chefs like those at Tender Greens which come to Alegria Fresh daily to select vegetables to serve to their customers. 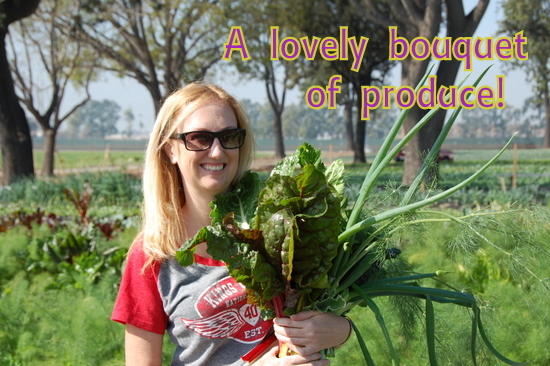 As are locals who are "in the know" and purchasing their own farm fresh CSA boxes every week or buying their own SOXX and hydroponic systems direct from the farm. The many visitors who take tours of this demonstration garden and become inspired to grow their own food using these techniques in their own urban and suburban plots are certainly plenty pleased as well. Who do we have to thank for Alegria Fresh? Well there would be no farm without the forethought and insight of the council members and planners involved in developing the Orange County Great Park. Their recognition of Irvine&apos;s rich agriculture history and the importance of educating visitors about food and farming has resulted in quite a fruitful endeavor. We also owe a tremendous bit of gratitude to Erik Cutter, Managing Director of Alegria Fresh, whose passion for growing healthy food, educating the public, and mentoring the next generation is changing lives. Erik loves giving tours of the farm, sharing his knowledge and expertise in hopes that it will inspire urbanites and suburbanites to see just how easy it is to grow food in their own back yards, no matter how small the space may be. He has also been a major inspiration at a few area high schools which he helped develop their very own high performance urban micro farms on school property. These micro-farms educate inner city kids about science and health while giving them an opportunity to develop skills which could lead them to start their own urban farms and change the way their community eats. Ready to tour the farm for yourself? Start with a tour of the Alegria Fresh website which has plenty of great information about the farm, the value of eating healthy food, and a few videos which highlight the farm and its mission.